Water Sport with Kauai Water Ski and Surf Co.
Surf, stand-up paddle, jet ski, water ski, hydrofoil, kayak, and take a boat cruise all over Kaua`i's blue water, waves, and deep into its hidden valleys. 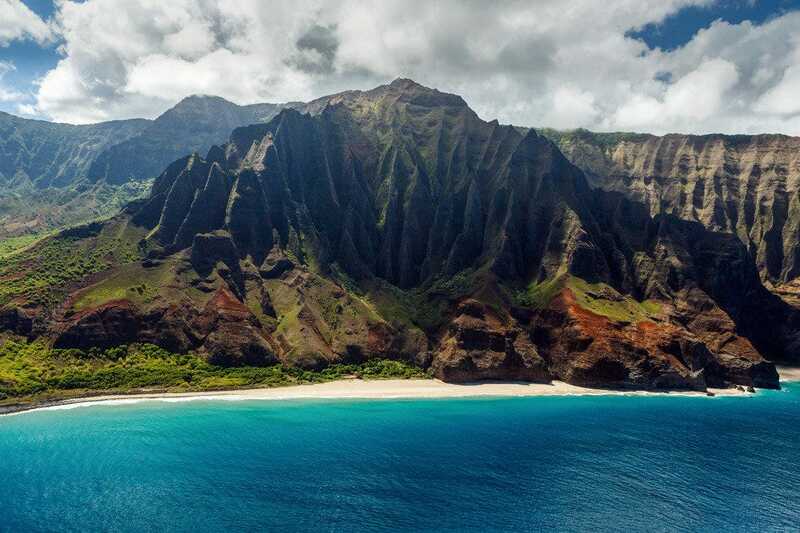 Kaua`i's is known for its on the water activities and attractions, and we're providing a list for you of the top ten on the water fun things to do on the Garden Island. We know you're excited and in search of the best ocean fun, so look no further than right here for a guide of the island's best adrenaline pumping water fun on the water. If you are the boarding type you can rent a board or get a surf lesson with the tried and true Titus Kinimaka Hawaiian Surf School or the Kalapaki Beach Boys. The former is run by a true local surfing legend and they will allow you to use their equipment long after the lesson is over. 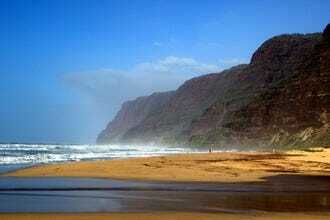 The latter takes place at famous Kalapaki Beach, a gorgeous bay in front of two of Kaua'i's most luxurious resorts. For a real unique experience, go wake boarding or hydrofoiling on the Wailua River with Kauai Water Ski and Surf Co. Here your friends and family can hang out in the boat for free and watch you tear it up on the river. If you're the calm river type, you can paddle up the Hulei`a River or the Hanalei River on a stand-up paddle board or kayak. Cruise up the Hanalei River on a stand-up paddle board, or a kayak with the outfitter Kayak Kauai. Morning is a nice time to go before it gets too hot, and it's a wonderful way to begin the day. Kayak Kauai offers SUP lessons and rentals from their dock up the river. It's about a 20 to 30 minute paddle down the river to the ocean. Lesson cost $85 and rentals are $45 per day or $225 per week. Both include a leash and if needed, a car rack. Experience the best surfing with the Grand Master of Surfing himself, the famous Titus Kinimaka. From beginner to experienced riders the Hawaiian School of Surfing is run by native Kauaian's with a rich surfing tradition that dates back to the 1950's. All instructors are experienced lifeguards and watermen. They'll take you to surf in Hanalei Bay and other reef breaks around the island, depending on experience. 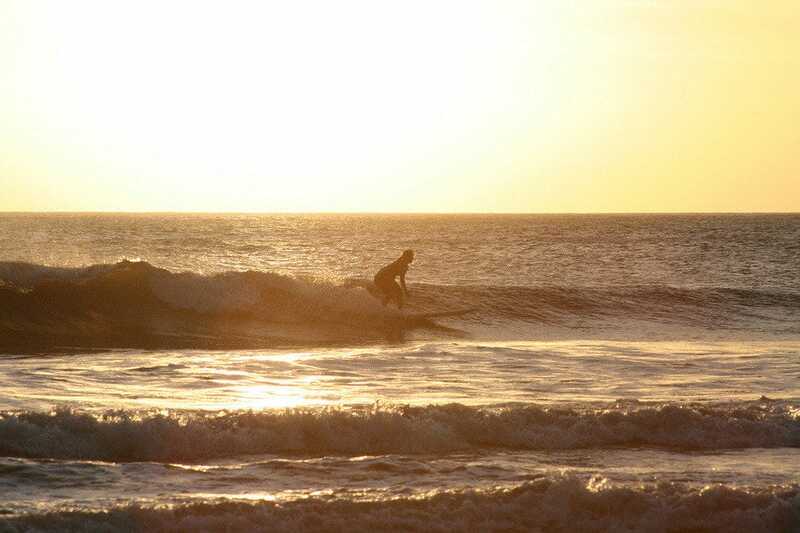 Beginner lessons for $65 last 90 minutes and they guarantee that you will surf! After the lesson you will be encouraged to continue using the equipment for the rest of the day for no extra charge. The advanced class for $65 is for surfers who have been surfing consistently for 3-5 years. In most cases surfers bring their own boards and equipment, however the school is happy to provide you with a board and rash guard at no extra charge. This class is primarily for surfers who would like help understanding the Hanalei surf break and how to properly ride the famous break. Lesson will last 90 minutes and surfers are encouraged to use the equipment for the rest of the day to hone their skills. The Extreme Class costs $250 and is for veteran surfers who want to experience the tow-in sensation of big wave riding. They will provide the following:All necessary personal equipment, jet ski's and a location tour. A stand-up surfing lesson costs $65 and they will provide the following: 12 foot soft top stand up board and 72 inch staff aluminum paddles. Titus Kinimaka is a professional surfer, stuntman and adventurer. Titus has been sponsored by Quiksilver Since 1981 and has traveled the globe as their ambassador. 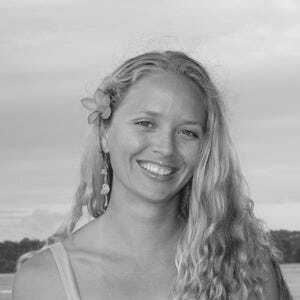 In 2000, Titus founded the Hawaiian School of Surfing and has built it into one of the most prolific schools in the Islands with over 6000 lessons taught in the last 12 months alone. A great Na Pali snorkeling boat tour leaves from the west side, and Holo Holo charters will give you a wonderful day on the water. They offer the Na Pali snorkeling sail, ranging from $99 to $139. They are a long standing trusted company with one sailing cat and one motorized cat. They leave out of the Port Allen Harbor. They are known for treating guests good. 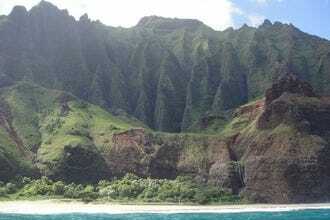 For some seriously fun Na Pali Coast Exploration, check out Na Pali Kayak. They take adventurous hikers, honeymooners, and campers along the gorgeous rugged coastline during a variety of guided tours. Tours include day long kayaking trips, camping along the coast, a honeymoon private charter for two, and other private guided tours. Fees range from $200 to $3,000 for a group charter so it's a good idea to call for current details and prices. From November through March Bali Hai Tours leaves from Kapaa to head north in search of whales. The boat can seat 12 people, but they like to take no more than six people to ease the crowd and keep the peace. They go out on a 20 foot Zodiac with a two stroke 100 hp Mercury motor. Snorkel gear, float noodles, boogie boards, dry bags and snacks are provided. Prices range from $90 for kids to $155 for adults. Anglers will have a lot of fun with C-Lure Charters. 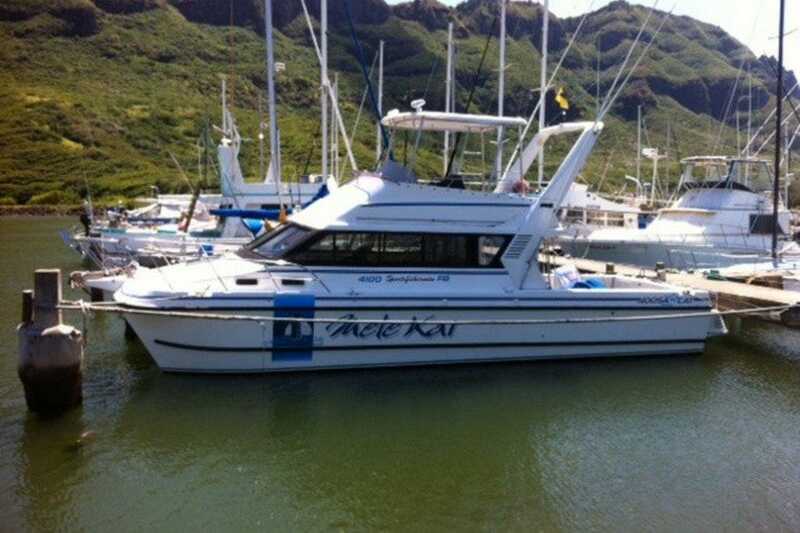 They go out on the Mele Kai, a custom built 41-foot Noosa cat boasting Shimano tackle, depth sounders, and a GPS. Six people can sit in the shade and there is also a fighting chair. They don't provide meals, so guests must bring their own food and alcoholic beverage. The company does provide fishing tackle, bait, soft drinks and water. Although they can't take more than six people they can set up the trip so that other boats bring more people with a boat caravan. Charters are half or whole day and they offer custom charters too. Prices range from $100 for those not fishing to $1,050 for a full day on the water with six anglers. 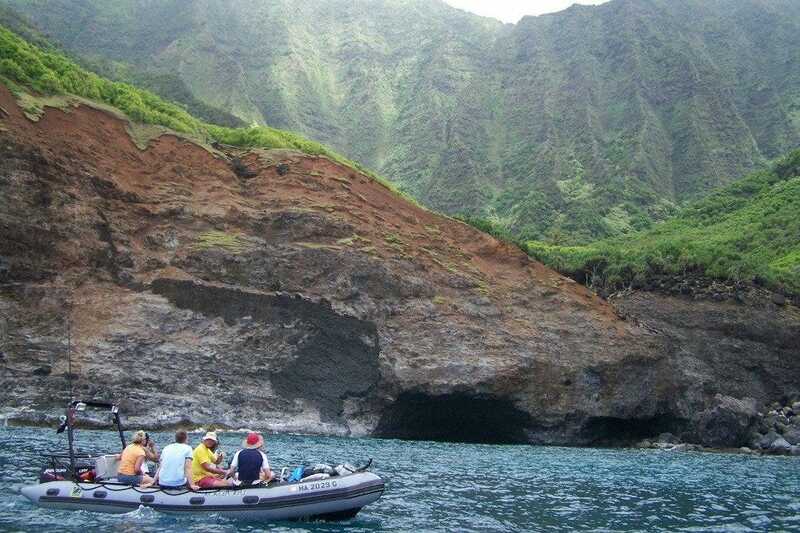 Another exciting excursion with Outfitters Kauai is their Wailua River tour. The tour is guided and takes guests up the Wailua River to explore Secret Falls. They provide a lunch with a choice of a turkey watercress wrap or a Mediterranean veggie wrap, along with pasta and a cookie. Cold drinks are offered all day long. Prices are $102 for adults and $82 for kids from five to 14 years old. The kayak part lasts for about 60 to 90 minutes each way and then goes over a somewhat rugged trail. Water skiing, kneeboarding, hydrofoil (a type of board where it rises above the water while being pulled behind the boat), and wakeboarding are all offered with Kauai Water Ski & Surf Co. This is the only company on Kauai to offer these activities. Five passengers can fit on the boat, and they are allowed to come along at no charge and watch you board around the river. Outfitters Kauai offers many outdoor activities all over the island. 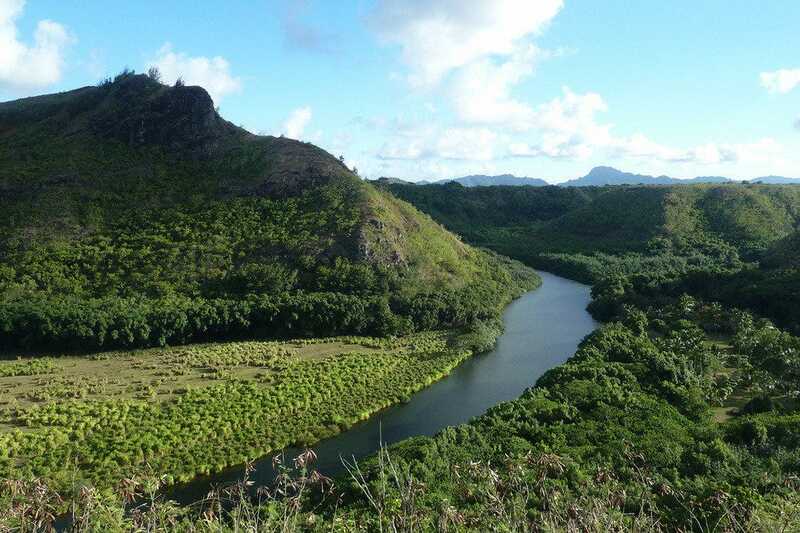 They offer a tour on Lihue's Hule`ia River on a stand up paddle board for $122 each person. On this tour you will be guided down wind on the river, hike to a waterfall, and even ride a zipline. The paddle is two miles long and last about half a day. To take surf lessons at Kalapaki Beach, try the Kalapaki Beach boys who offer 90-minute classes at the popular beach with no more than four people in a class. Classes begin with about 30 minutes on land with the instructor giving tips and sharing surfing information. The rest of the class is in the water. Lessons include all the gear you need - rash guards to protect against sun and rash from the wax, booties for foot protection and boards. Lessons run daily, usually at 10 a.m., noon, and 2 p.m. for $78.12 per person.